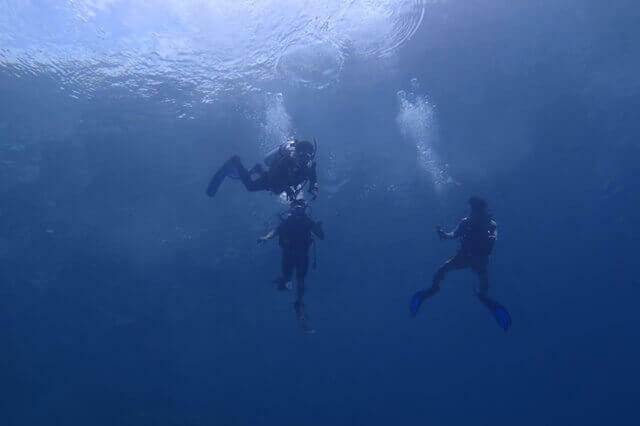 The last time I dived was in 2013, several months after I’d graduated college. Since then my scuba license had been practically forgotten, a mere decoration in my wallet. Yet I kept brushing my skills. I often went to the swimming pool and did static and dynamic apnea. At least I was still used to equalizing. So when Syukron called me last month asking me to go along with him to Raja Ampat, I was really excited. I thought I had rights to be excited. 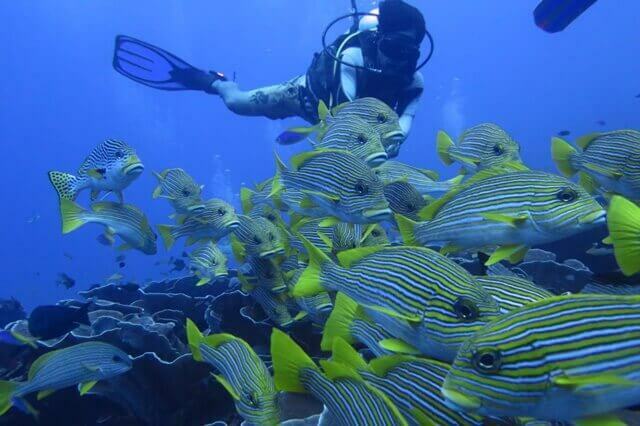 And you couldn’t help being excited when you were about to go to one of the scuba diving Meccas in the world. Though he didn’t mention anything about diving, I was pretty much sure that life would give me a chance to see the underwater wonderland once again. Long story short, we traveled a very long journey by plane from Jakarta to Sorong, via Makassar. 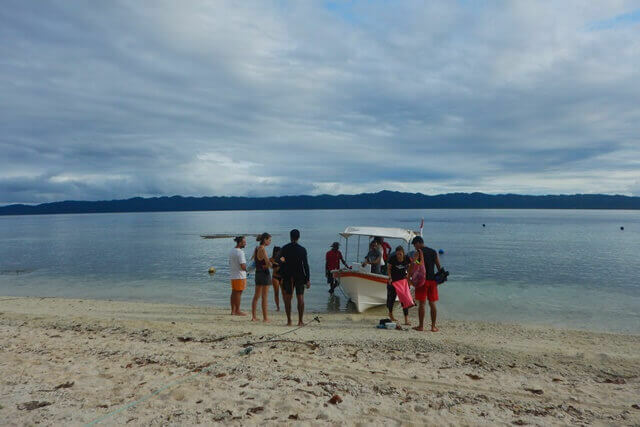 One day transit in Sorong, we ventured to Waisai by a rather fancy speedboat and to Arborek by not-so-fancy-a-boat—on which I nearly broke my spine. We—five of us—stayed in a small room in a wooden bungalow. It was quite peaceful there and the view was somehow beautiful. There were hammocks and a hut where you could mingle with fellow travelers. The only flaw was the rain, which fell quite often. However, about the rain, there was none to blame though except for our ignorance. Although bestowed with countless abilities, the best skill Syukron had was making friends. Leave him in a traditional market for half an hour and he would befriend all of the hawkers—that was how skillful he was. So it was not surprising that he had a friend in such remote a place as Arborek. Her name was Githa. Before actually meeting her, I thought she was a native. So I was startled knowing she’s a rambut lurus (straight hair, a term used by the native Papuan to address people from the western part of Indonesia). She was born and raised in Bekasi, West Java. In 2012 she was awarded by The Marketeers for her commitment to sustainable tourism. 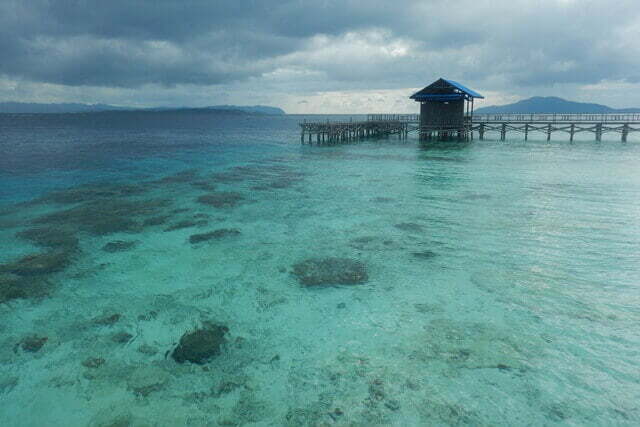 One day, a friend challenged her to apply as a volunteer to an NGO in Raja Ampat. She, of course, accepted it. 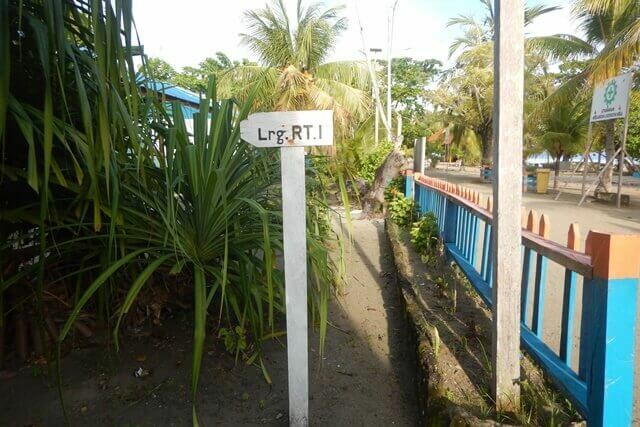 In late 2012, she stepped foot on the island of Kri where she worked for the NGO as a community manager. Later on, the NGO moved its base to Arborek. After several years she resigned. 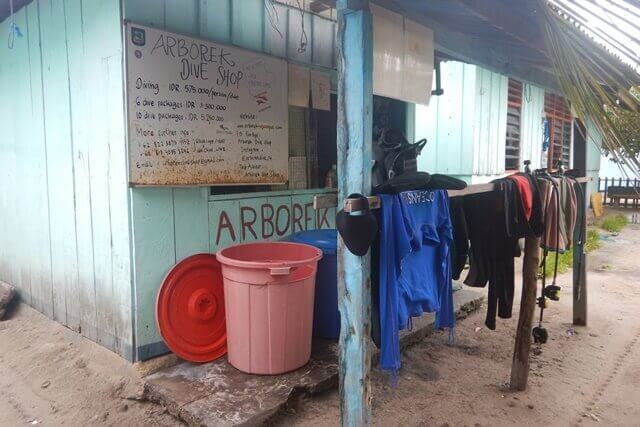 Since 2016 she’d been running Arborek Dive Shop with her partner, Marcel. 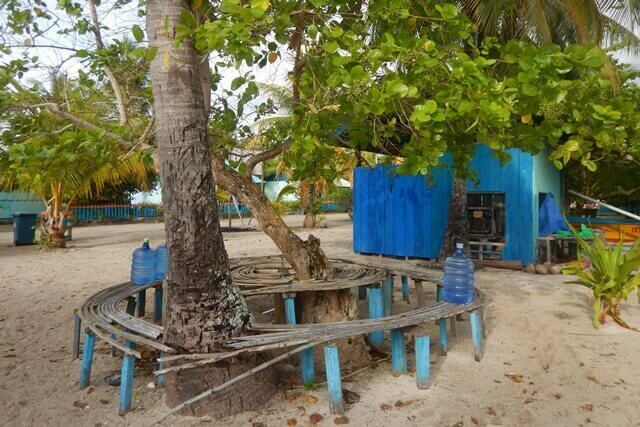 The dive shop was a wooden studio located on the main road between the jetty and the island’s only church. It was easy to spot as, during the days, there would always be scuba gears hanging on the veranda. Githa had painted the small island of Arborek with a new color. In the morning on my fifth day staying in Raja Ampat, I successfully did a back roll entry in Sauwandarek from the starboard of Arborek Dive Shop’s boat. Widhi was my buddy. Since he was a lot older than me, I addressed him Mas Widhi. He—as well as Syukron—was a PADI instructor. While we were on the boat, he’d given me a crash course about dive signs in case I’d forgotten. But the engine was too loud I could only dig some of the lectures. Thumbs down. I deflated the BCD and off we went to the deep blue sea. I got no problem in equalizing. But since it was my first diving after a long while, I had two “little” problems, namely conserving the oxygen and controlling the buoyancy. I breathed as if I had just escaped from a pack of wolves. I also somersaulted once or twice for no apparent reason. If you asked me what I had seen on the first dive I would only be able to answer your question by erring; what I did was just minding my own breath. Twenty minutes later the hand of my submersible pressure gauge had plummetted to 50 bars. I nearly giggled when five minutes later I sent a signal to Mas Widhi telling I only had 20 bars of air in my tank. Eventually, we did a four-minutes safety stop and emerged to the surface with only 10 bars of air left. However, I made an improvement on the second dive near the pier of Yenbuba as I was able to dive for around 40 minutes. I also saw two sharks, a turtle, and a mobula. 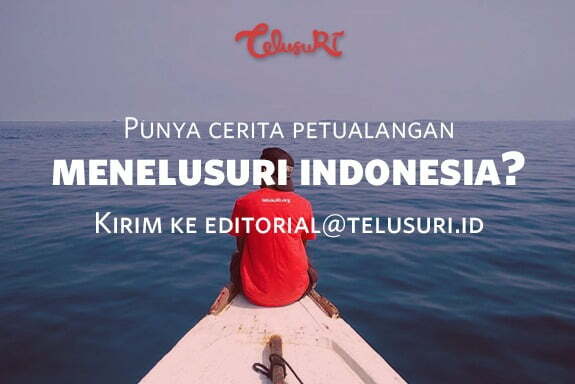 Learn more about Indonesia through our Instagram and Facebook Fanpage.